The social networking company, known for its many perks that make it a regular on the hottest-places-to-work lists, is increasing headcount at an incredible pace. Facebook, which reported that sales fell short of estimates, passed the 10,000-employee mark last quarter. With a total of 10,082 at the end of March, Facebook increased headcount by 48 per cent compared with the same time last year. 48 per cent is an eye-popping number. Google doesn’t report earnings until today, but the company, which has been frequently questioned about its fast pace of hiring, grew only 12 per cent last year. Google is about five times the size of Facebook, but the online search company actually reduced headcount from the third to fourth quarter, due partly to the closing of its sale of Motorola Mobility to Lenovo. Chief Financial Officer of Facebook Dave Wehner said the company is basically beefing up everywhere, and that growth skews toward research and development. Those who follow the company shouldn’t be too surprised by the increase in spending on hiring, and Mr Wehner pointed to its expense forecast as if to say: We warned you. “We remain very pleased with our ability to attract and retain top-tier talent,” he said. The photo-sharing app had just 13 employees in 2012 when it got snapped up by Facebook for about US$1 billion. Ratio increased and now there are some 200 people working on Instagram. a report said that millions of people check their instagram once in a month. 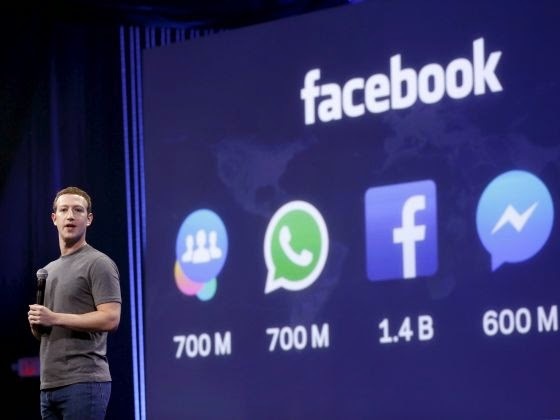 Bloomberg reported that Facebook is urged to rise hiring as its fame is getting bigger and better. The social media pioneer has many more projects and wants to benefit people from them.